When you’re the best of friends, you’re always together in spirit—even if you’re far away. Goat and Pig are best friends who do everything together in their little orchard. But one day, Goat wants to venture out in the world . . . while Pig wants to stay home. And for the first time, they’re physically apart. But the friends discover that no matter where you are, when you love each other you’re always together in your thoughts and your heart. Edwina Wyatt has created a touching and perceptive story, perfect for comforting children who have friends and family that move away. Award-winning artist Lucia Masciullo’s illustrations capture the two characters’ every emotion—love, loss, loneliness—in this endearing ode to a timeless friendship. 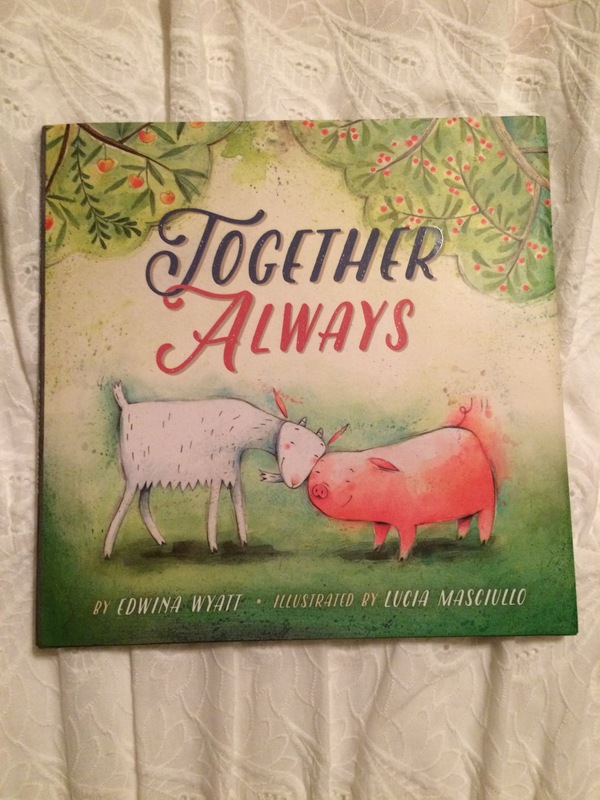 About: Together Always is a children’s picture book written by Edwina Wyatt and illustrated by Lucia Masciullo. It was published on 2/7/2017 by Sterling Children’s Books, imprint of Sterling Publishing, hardcover, 48 pages. The genres are fiction, childrens, friendship, and social themes. This book is intended for children ages 4 to 8, grades P to 3. According to Sterling Publishing’s website, it is an innovative and forward-thinking publishing company committed to creating books that educate, inspire, and entertain. Please see below for more info about the author. My Experience: I started reading Together Always on 3/7/17 as a bedtime story for my 5 year-old son and we finished it that same night. This book is too cute! 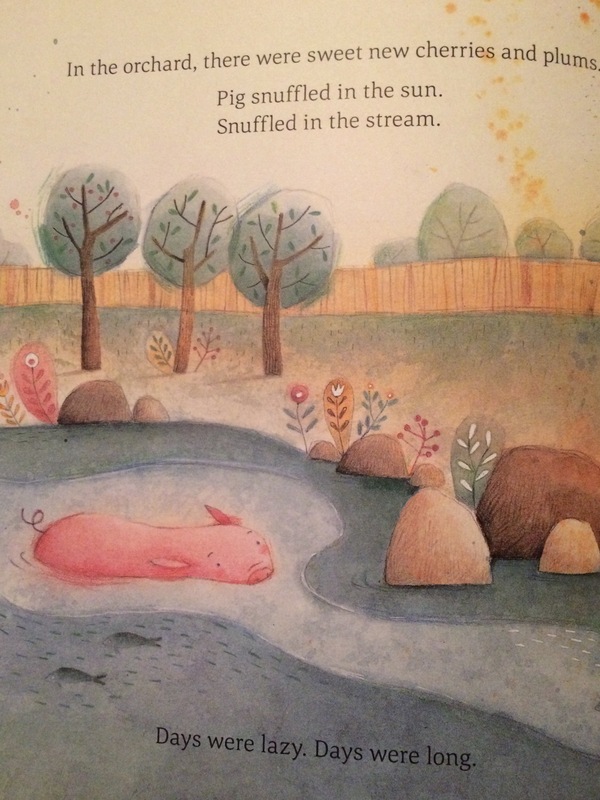 After a couple of pages, my son wants me to substitute his name for Pig and Mommy for Goat and we read it like a relationship between mommy and son. It was very sweet. I love the gentle words and their loving friendship. I love how they comfort each other when one is feeling blue or when the other got lost. I love that when they are apart, they use the same comforts to feel less alone. The story is awesome and the illustrations are too cute! 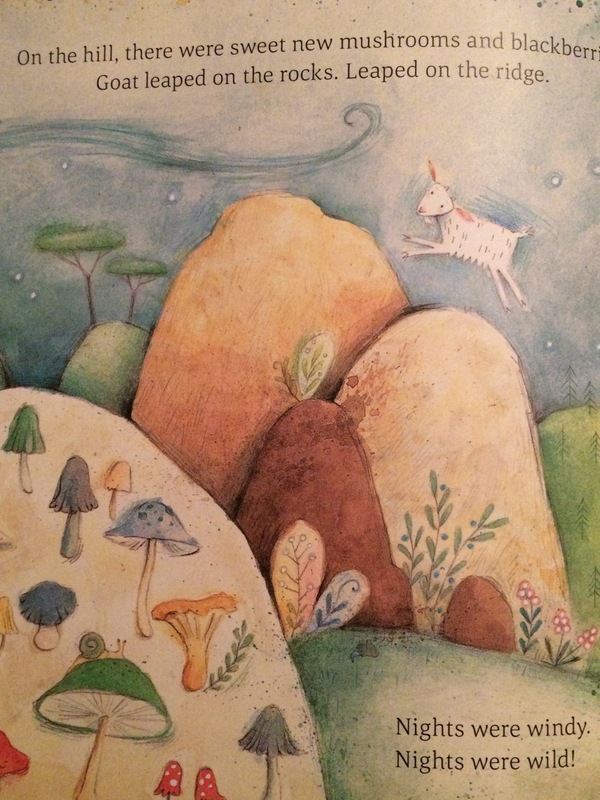 In this book, readers will follow the relationship between Goat and Pig. Everyday they play together in the orchard of apples, cherries, and plums. They bathe under the sun and in the stream. One day, Goat decided he wanted to go beyond the gate and explore. Pig didn’t want to go but because of their promise to always be together, Pig went along with Goat out the gate, through the mist, and over the rocks. Pig realized that he likes the orchard more and wanted to go back but Goat likes the outdoors more and wanted to stay. This book is truly made for kids who are adverse to change because it will give them the comfort that change isn’t so bad and that they will still be together even when they are far apart. I highly recommend this book for everyone! Edwina Wyatt grew up in Sydney, Australia. A trained lawyer and secondary teacher, Edwina lives on the south coast of New South Wales and writes stories for little (and not so little) people. Her debut book IN THE EVENING was a Children’s Book Council of Australia ‘Notable’ in the Picture Book of the Year award category and included in the NSW Premier’s Reading Challenge. Her follow up title is TOGETHER ALWAYS with rights sold to several countries including USA, China, Taiwan and Korea. (Info obtained from the author’s website). ***Disclaimer: Many thanks to Sterling Publishing for the opportunity to read and review. Please assured that my opinions are honest. The artwork looks adorable ! Great review. So cute Jasmine and so true no matter where you are friends will always remain friends. Great review.